The 2014 300S has received significant changes, particularly in terms of its interior layout. - Its specific 20-inch wheels (19 on AWD models ). The cockpit is familiar territory but the car welcomes ambassador blue Nappa leather seats with silver stitching, while its interior trimmings are Piano Black. We obviously find the exclusive Chrysler Uconnect infotainment system. The 2014 Chrysler 300 S is powered either by a robust 3.6-litre Pentastar V6 that delivers 300 horsepower and a thundering 6.4-liter HEMI V8 with 470 horsepower. Everything is mated to a new eight-speed automatic transmission. 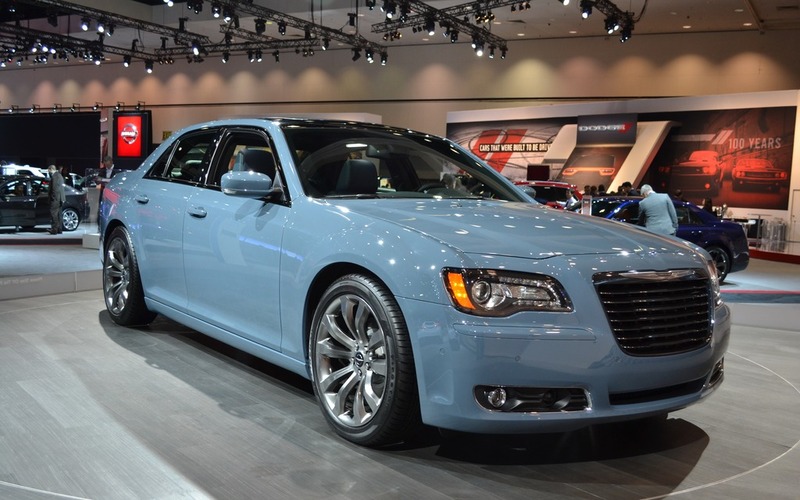 V6 versions are rear-wheel drive or AWD, while the Chrysler 300 S SRT8 is rear-wheel drive only.